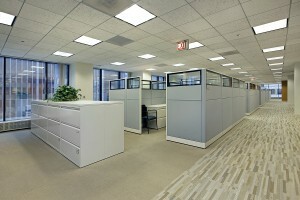 If you’re looking for private cubicles in the Naples, Florida, area, trust Reimagine Office Furnishings (ROF). ROF has been providing brand-name office cubicles at an affordable price to businesses along the west coast of Florida and across the nation since 1991. We offer new, used, and refurbished/remanufactured cubicles, which allows you to choose the type of cubicle that best fits your businesses’ needs and budget. In fact, when shopping with ROF, you can save up to 80 percent off the price of new furniture. Our refurbished cubicles not only come at a great price, but they’re also available to be slightly customized. Since we perform all of our refurbishment in-house, our team would be happy to change the height of the panels in order to create more private cubicles or alter the color in order to better match your office’s aesthetic. What’s more, the team at ROF would be happy to assemble any of the cubicles you purchase. Cubicles can be difficult to set up and wire, so we will be happy to assist to get your business in working order. If you would like information on the private cubicles we currently have in stock, or for additional information on any of our services, contact Reimagine Office Furnishings today. We serve businesses in Naples, FL, and all surrounding areas.